I find the process of selecting the Twitpic of the Week amusing. All I do is keep my eyes pealed, collect and share the candidates throughout the week, then at the end of the week, I review them and wait for the one that inspires a monologue. Sometimes it’s the most beautiful picture or a unique angle and sometimes it’s just a photo that evokes a memory. 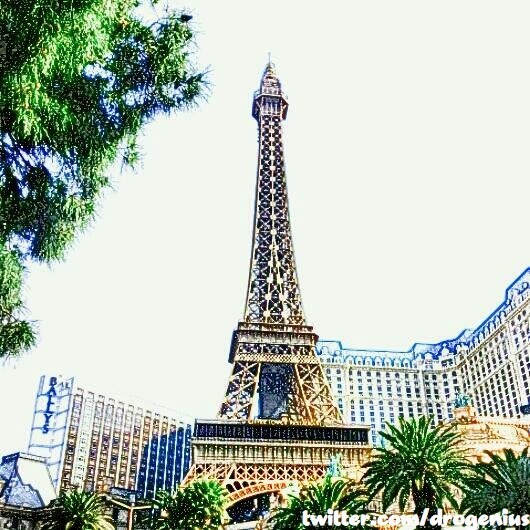 This week’s winner comes to us from @drogenius for a picture of Paris and her Eiffel tower taken from across the street at Bellagio. The photo has something of a watercolors filter applied to it but what caught my attention is something I love about Vegas. Despite having all the elaborate themes and mega resorts one could get lost in, something I adore about Vegas is how it never lets you forget where you are. For example, in this picture, while it isn’t likely, it’s amusing to think of someone getting lost in the ambiance and theme and find them selves wondering, “Are we really in Paris”. Then the eye begins to wander in any direction. In this pictures case, just to the left you see the Bally’s sign bringing you back to reality. 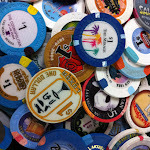 I think Luxor/Excalibur do this best but this picture evoked that memory and that is why it is this week’s winner.